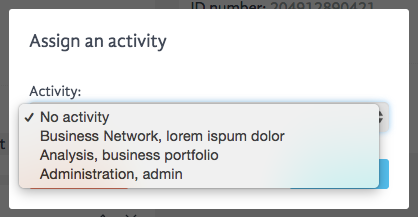 In this section, the administrator can manage company’s client database. 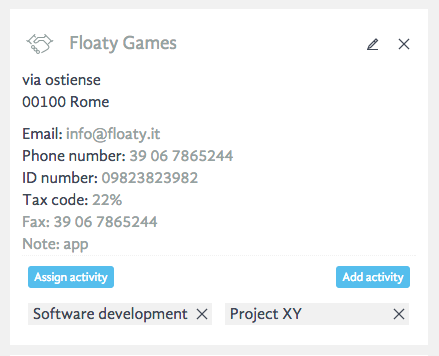 As you can see in the picture, it is possible to update all information related to a client and create tasks related to a specific project. 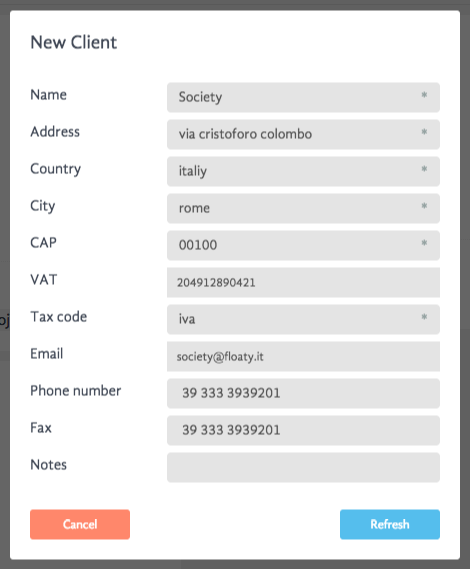 It is also possible to add a new client inserting basic information such as: name, address, country, city, CAP and tax code. 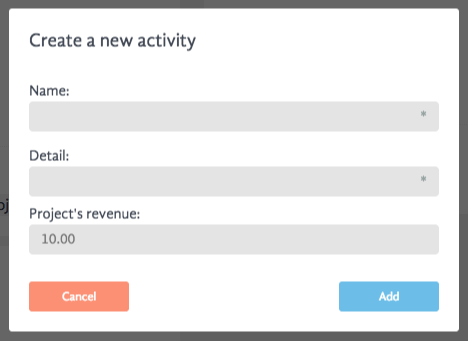 Once you add a new client inside the client database, you can generate a new task for that client by defining name, details and expected revenue for that task or you can just assign already existing task to a certain client. All values are being used to calculate tasks's performance that can be visualized in the section "Performance". In this section it is possible to view all costs and revenue releted to a specific task and define its profitability.